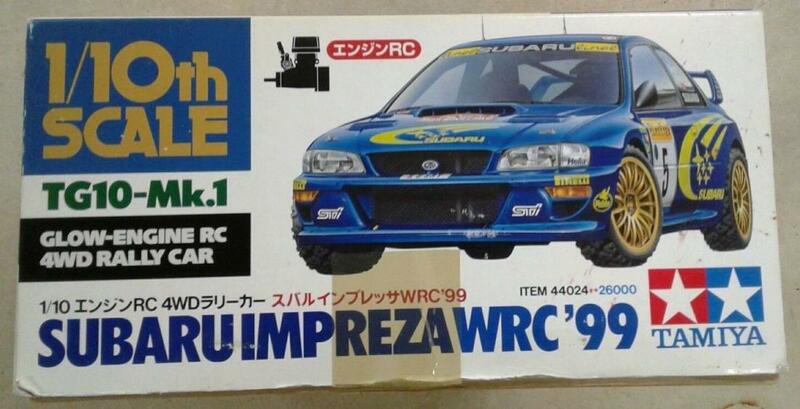 This is a Tamiya 1/10th scale Subaru Impreza WRC '99 TG-10 MK.1 glow engine r/c rally car that I picked up on Ebay in December 2018 for $120 USD. 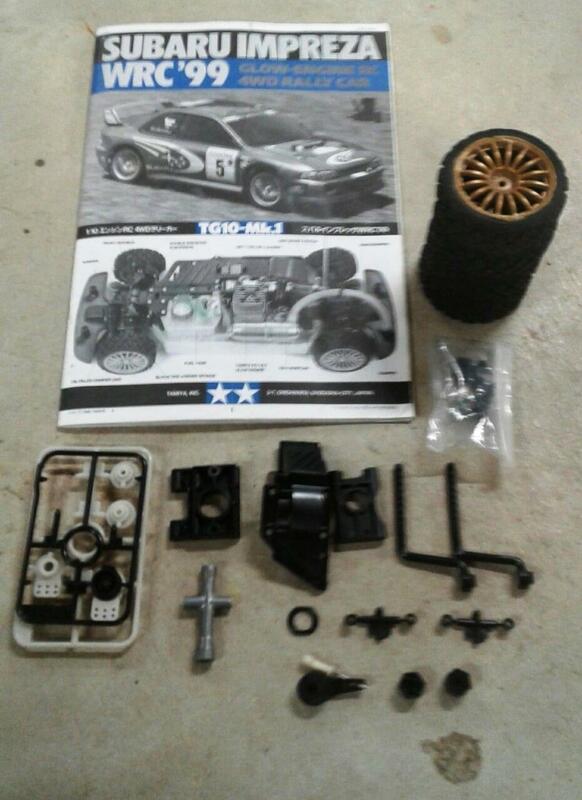 This example came from the original owner in Cincinnati, Ohio, USA in excellent, lightly used condition with the car, body, manual, box, a few spare parts and appears to be in great shape. The seller informed me that he only ran one tank of fuel through it after break-in and it sat in storage for the last few years. 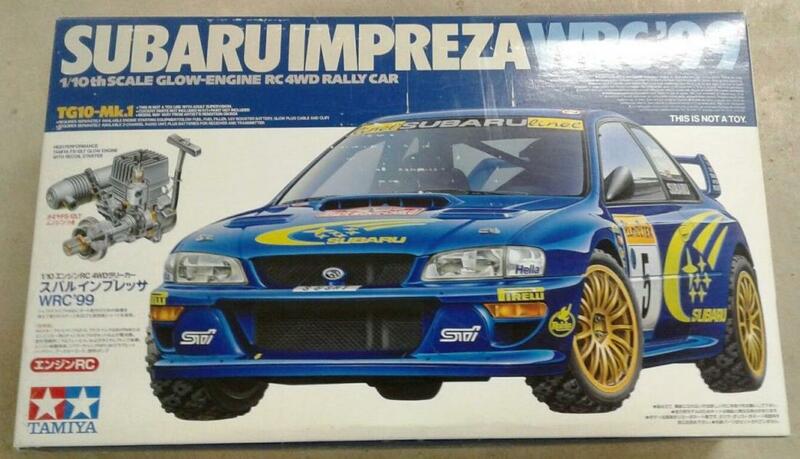 This model was originally released on September 28, 1999 and is #24 in Tamiya's glow-engine r/c car series. 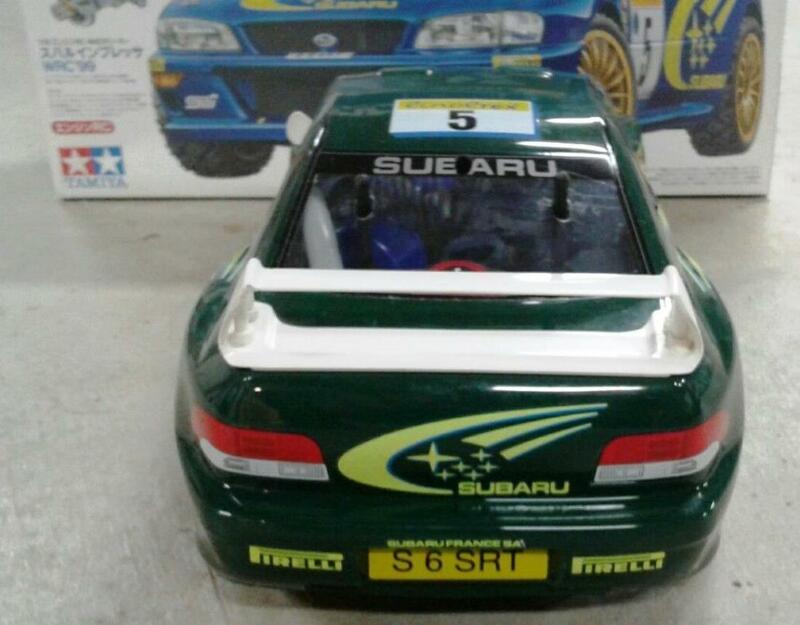 I stumbled upon this one while surfing our favorite auction site and was not in the market for this or any glow engine car but, as we all know when browsing Ebay, things just happen. I included the auction photos since I have not had time to take my own pics yet. 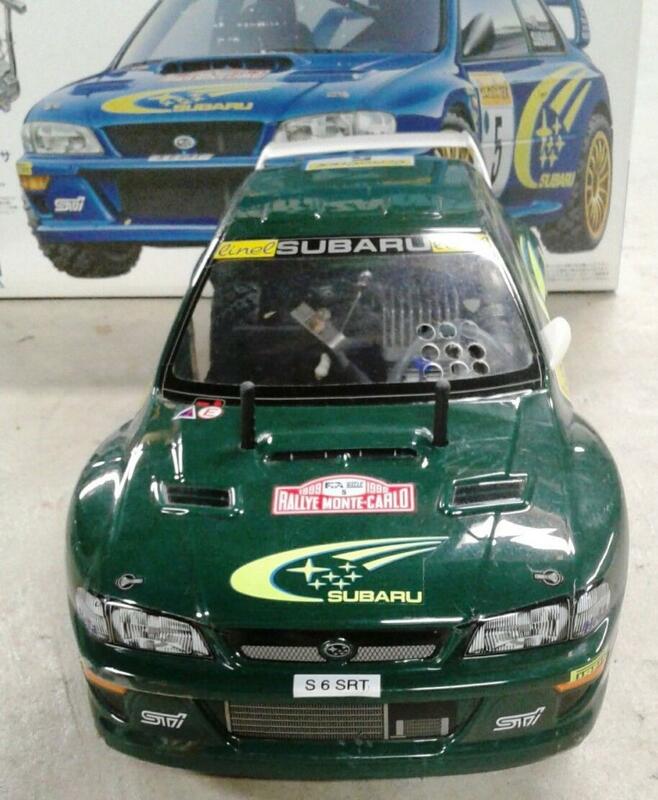 I have never owned a glow engine r/c vehicle but I trust that Tamiya makes a good one, I'm on a Subaru rally kick lately and love these 2-door scoobies. I have a few electric versions in my collection also. It needs a radio and is missing the under tray so I am on the look out for one of those. The green body color is not my thing either so I'm contemplating whether or not to try and remove it and repaint it. 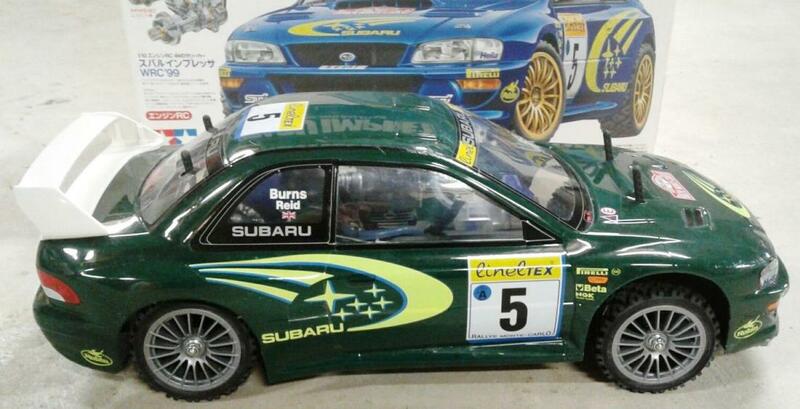 Historically, this model is based on the 1:1 Subaru rally car that swept first and second positions in the 7th race of the 1999 World Rally Championship in Argentina. More pics to come as I make progress and learn to start and run this car. Thanks for looking and hope you enjoy. Wrong color. I like the small discrete drill holes for airflow. Very clean and original. Can't run it until I find or make an under tray. The manual will come in handy. @TG: Thanks, TG. I'll check out your showroom for your TG-10. I'd also welcome any advice or resources you suggest in terms of set-up, break-in, running and storage of a 20-year-old nitro car. I'll be surfing Youtube for videos on all that as well. If you know of an under cowl for my scoobie please keep me in mind! Happy New Year!